The Flaire Chair is an extremely robust, easy to clean and maintain classroom chair. 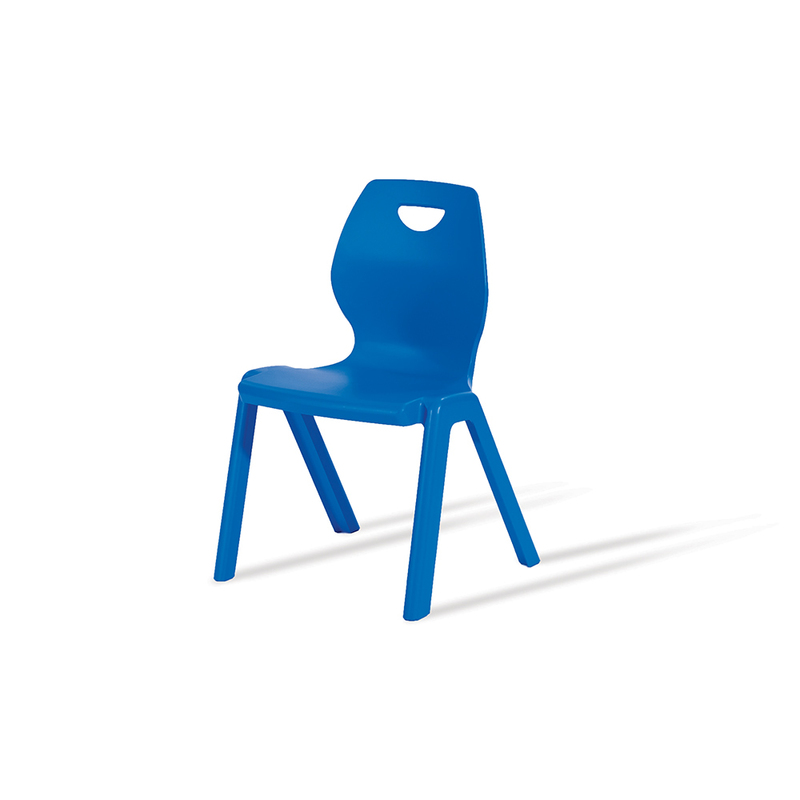 This ergonomic school chair has been specially designed and manufactured in solid high impact polypropylene, making the chair virtually indestructible. A bright and colourful piece of classroom furniture available in 3 different colour options - blue, purple and grey. Choose from 5 sizes, specially designed for children aged of 4 to 14+ years. If you need help choosing the most appropriate size, please see our Chair and Table Size Guide. The Flaire Chair features anti-lean chair legs as well as an ergonomic design that provides posture assistance to children. The sturdy design helps to make the classroom a safe educational environment. Stackable up to 10 chairs high for efficient storage when not in use. These classroom chairs are also lightweight and portable, making the flaire chair easily transportable between classrooms. Easy to clean and fade-resistant, the flaire chair has been professionally tested and certified to ZEN1729-1 and 2 standard. To provide age appropriate comfort for children and young adults, the Flaire chair is available in 5 different height options – 310mm, 350mm, 380mm, 430mm, and 460mm. 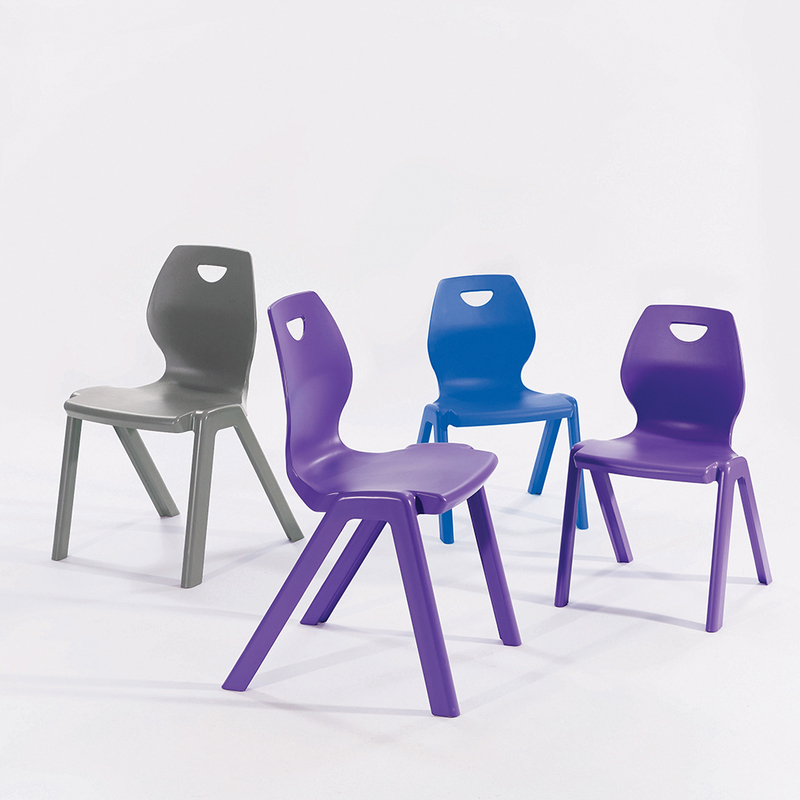 These stackable classroom chairs come in packs of 5 and is delivered fully assembled. For more information on the Children’s Classroom Flaire Chair, please contact us or call us on 01733 511 121. Made to order and dispatched within 5-15 working days.